Jordan Henderson will miss next week's Merseyside derby after being sent off as Liverpool beat Watford 3-0 in the Premier League on Saturday. Henderson returned from injury as one of two changes made by Jurgen Klopp, but was given his marching orders in the 82nd minute after picking up a second yellow card, meaning he will be suspended for the game against Everton next Sunday, live on Sky Sports. But the Reds remain unbeaten in the league and kept a clean sheet, with Mohamed Salah (67) opening the scoring before Trent Alexander-Arnold (76) added the second with a wonderful free-kick. Roberto Firmino (89) scored late on after a devastating Liverpool counter-attack, and it sees them keep pace at the top with Manchester City, who beat West Ham on Saturday, while Watford slip down to ninth place. Watford had the ball in the net inside three minutes but the goal was ruled out for offside. A long ball was touched on by Troy Deeney, allowing Gerard Deulofeu to race through but, as he slotted past Alisson, the offside flag was correctly raised. 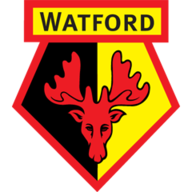 Watford: Foster (7), Femenia (7), Mariappa (6), Cathcart (7), Masina (7), Doucoure (7), Hughes (6), Capoue (6), Pereyra (6), Deulofeu (7), Deeney (6). Subs used: Success (6), Gray (4). 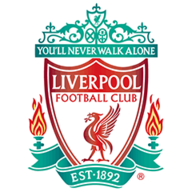 Liverpool: Alisson (6), Alexander-Arnold (7), Van Dijk (7), Lovren (7), Robertson (6), Wijnaldum (7), Henderson (5), Shaqiri (8), Firmino (7), Mane (7), Salah (7). Subs used: Milner (5), Fabinho (5), Matip (n/a). Man of the match: Xherdan Shaqiri. The game was meandering towards the break until a flurry of late efforts. It began in the 39th minute as Salah latched onto a loose ball and slotted it into the path of Firmino, but his shot - the first on target in the game - was saved by Ben Foster. Alisson was then called into action as Deulofeu played the ball across for Roberto Pereyra, but his curling effort was saved by the leaping Liverpool goalkeeper. Xherdan Shaqiri was superb for the Reds in the first half, and another wonderful ball into the area picked out Sadio Mane who poked the ball towards goal, but Foster turned it behind for a corner. Shaqiri's subsequent effort found an unmarked Salah by the back post, but the Watford stopper did well to save the Egyptian's header. Watford made three changes with Adam Masina, Etienne Capoue and Troy Deeney back in the starting XI. Liverpool made two switches, welcoming Dejan Lovren and Jordan Henderson back into the side. Liverpool broke the deadlock in the 67th minute with another goal for Salah against Watford - his sixth in three games. Firmino slipped the ball to Mane down the left before he cut it back for Salah and the Egyptian then swept past Foster, who should have done better. But Foster could do nothing about Liverpool's wonderful second from Alexander-Arnold. The 20-year-old lined up a free kick in the 76th minute as Firmino was pulled down by Adrian Mariappa 30 yards out, and curled a beautiful effort into the top corner. Six minutes later, though, Liverpool were down to 10 men. Having been booked for a push on Isaac Success on the hour mark and a number of remonstrations with referee Jon Moss, Henderson was already on thin ice. But a foul on Etienne Capoue sealed his fate as he made his way down the tunnel before Moss could get the card out of his pocket. Watford looked to take advantage of their extra man but it proved to be their undoing for the third goal as Liverpool hit them on the break. Andrew Robertson strode down the left flank before cutting the ball into the area for Mane, whose shot was saved by Foster, but the rebound was nodded home by Firmino. Watford have lost three of their last four home top-flight games (W1), as many defeats as they suffered in their previous 15 at Vicarage Road in the Premier League (W8 D4). Liverpool are unbeaten in their opening 13 matches of a Premier League season for the first time since 2007-08. Watford have lost 16 of their 18 Premier League matches against sides starting that day in the top two of the table, beating Chelsea in September 1999 and Arsenal in January 2017. 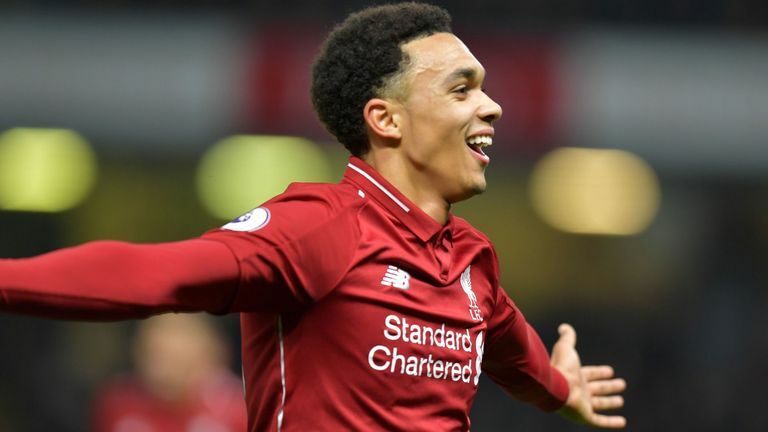 Liverpool defender Trent Alexander-Arnold has registered goal involvements in consecutive Premier League appearances for the first time, assisting against Fulham before scoring against Watford. Javi Gracia: "In the second half, they scored and I think the match was closer than the scoreline but we accept and continue. I think we played well for 65 minutes with good defensive work. Maybe we could improve our attack, but playing against Liverpool is difficult and demanding but we tried." 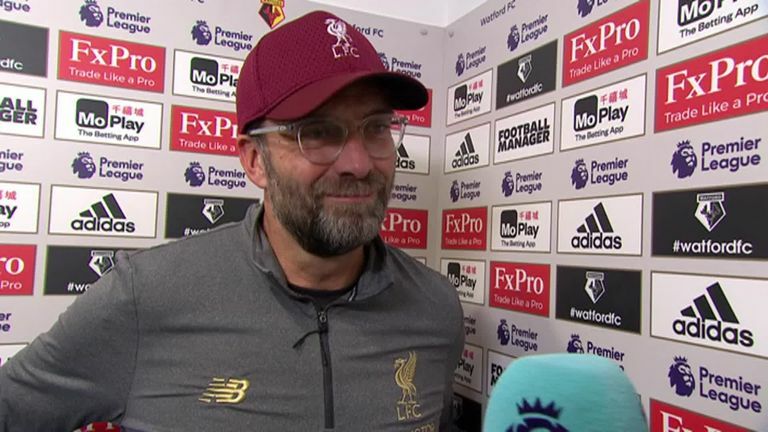 Jurgen Klopp: "The performance was really good and result was perfect. Winning 3-0 at Watford is unbelievably difficult. We lost here in my first season so to win here is really special... 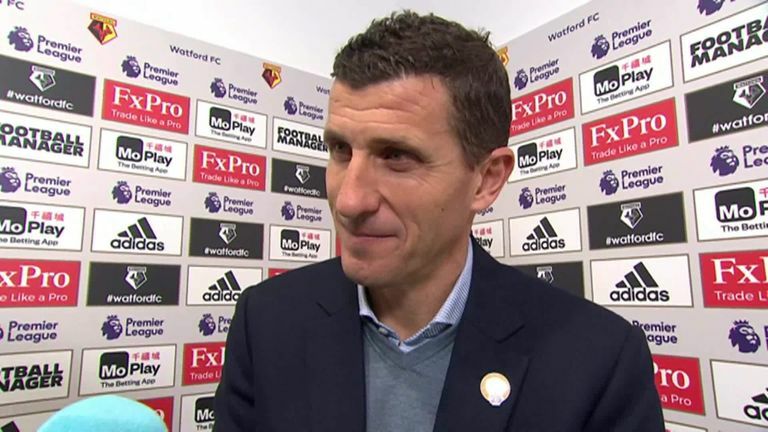 It is one of the biggest wins in the season so far because the way of Watford is really special." Matt Le Tissier: "I thought Liverpool were the better side and I thought Watford negated them in the first half without throwing too much forward, but once the first goal went in, Liverpool took control and the second was just a stunner, it was absolutely outstanding. "Teams are less willing to open up against Liverpool given what they were doing to teams last season, but they still managed to sneak another goal after having a man sent off. Early on, they did threaten a little bit, but they didn't come out the moment Liverpool got a foothold in the game." Shaqiri continues to show he is a bargain buy for Liverpool and was superb in a first half that lacked much attacking threat. He continued to put cross after cross into the area - most of them of real quality - but they could not be converted. Watford clearly wanted to nullify his threat in the second half as he was much quieter but still had moments of quality when on the ball and his performance certainly should have been rewarded with a goal or assist. But it is the result that counts, and Shaqiri must be at the forefront of Klopp's thinking for two huge games on the horizon. Watford are in Premier League action next Saturday when they host Leicester, while Liverpool have two huge games coming up. The first is on Wednesday against PSG in the Champions League before hosting Everton in the Merseyside derby on Sunday, live on Sky Sports Premier League.